The Jeanneau 42DS is an unashamed cruising boat, and it is good to know that the owner of the first one in the state has serious plans for it: a year of familiarisation, then a leisurely year circumnavigating Australia. After that, wherever the spirit takes him and his family. 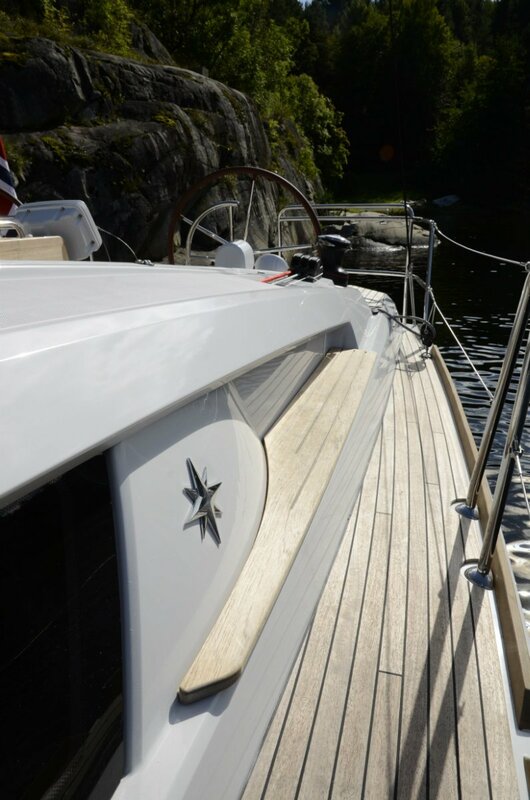 Features minimising the effort required to sail this boat include in-mast reefing using a rugged looking system; all key lines led to the winches adjacent to the twin wheels; and a bow thruster and autopilot. is no traveller for the mainsheet, which practically removes the need for movement within the cockpit and makes this a practical single hander. The spring loaded solid vang further eases a single hander’s work load by not requiring him to set up the topping lift before furling. 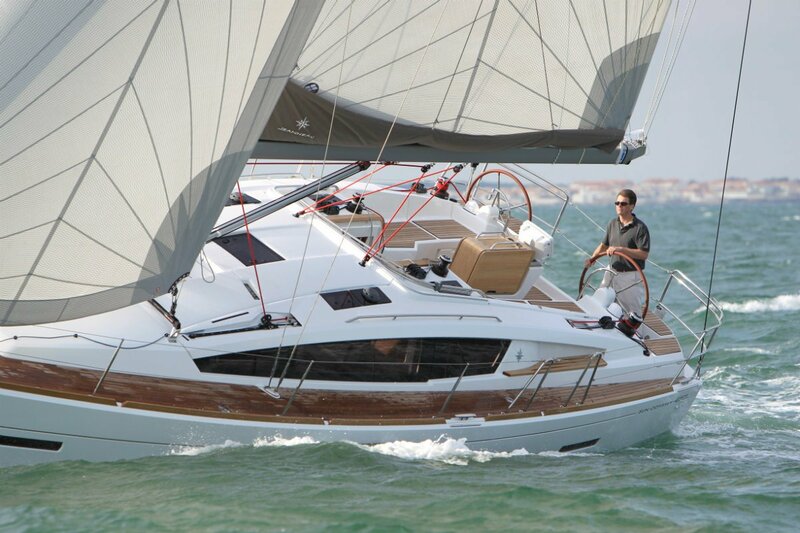 These things said, the 41DS (Jeanneau DSs are cruiser racers) is no houseboat with sails. The review day, as I so often experience with sailing vessel tests, had very light winds, but those days often tell the tale. The 41 is a slippery boat, getting useful propulsion out of the faintest puffs. The standing rigging features twin backstays and double spreaders with shrouds terminating at a single chain plate each side; all about as simple as it could be. Running rigging and deck hardware too emphasise order and logic. The cockpit is very well set up for relaxation: not a single item of sailing business intrudes ahead of the wheels. Sheets and furling lines lead back to the winches through tunnels, so wherever people sit or walk they meet no obstacle. 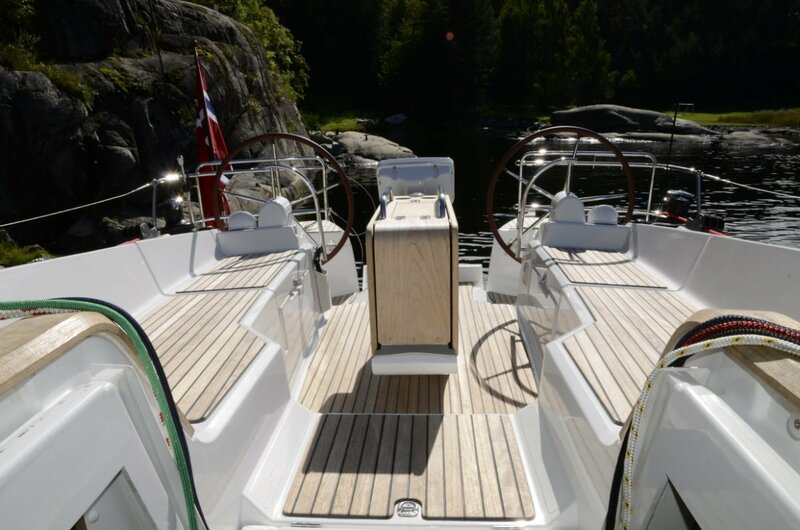 Side and foredecks are unsheathed fibreglass, but the cockpit deck and side benches get the insulation and foot friendliness of teak. Mid cockpit is the customary folding table with built-in mini icebox. Shade is an important element in a cruising boat, yet remarkably few of them have any until sunburn has thoroughly set in. This vessel, though, is set up from scratch with a large area Bimini plus a dodger screening the big companionway hatch. Yachts of this size typically have three cabins, but for a serious cruiser the two cabin, two bathroom layout makes a lot of sense. Two couples or two generations can have the separation of the saloon between them at any time, reducing the chances of friction. Without question the after cabin would be the home of the owners. Besides the lower motion, it has the advantage of size. Where an alternative layout would fit a pair of cabins in the space, this one has almost the full beam of four metres to itself. Both cabins have enough hanging and drawer space for full time live aboard. For less permanent residents the dinette converts into a double bed of considerable size. One of the greatest improvements in yacht habitability generally is the increase in natural light. In this the 41 is outstanding: the windows, on two levels, plus skylights add up to a lot of glass. The interior has hard linings, with most bulkhead surfaces in timber; a sponge will do the cleaning here. The deck is timber too, with a high percentage of it consisting of lift up inspection panels, with some of the revealed spaces making obvious wine cellars. The saloon has a clean, spacious layout; its L-shaped galley has the room and equipment needed for long periods at sea. There are a gimballed oven plus two-burner top, 180-litre top load fridge, sink, refuse container, bench top space and masses of storage. Opposite the dinette – and this is luxuriously large – is another settee that provides a seat for the navigation station. Not only does this give facilities for the electronic version of navigation, but also space for the spreading of paper charts for the traditional kind. In the days when, whatever designation a yacht was given, its career was mainly around the cans, the motor was politely called a ‘mooring motor’: just gentle assistance into the pen. 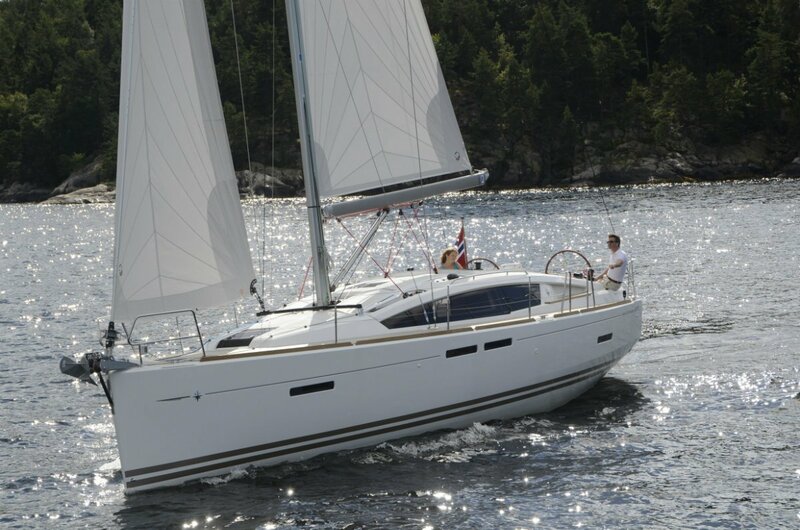 The 41 has the kind of motor a cruiser needs: able to haul you off a lee shore or motor sail to windward for hours on end. Its 40hp Yanmar achieves hull speed with a very modest throttle opening, leaving a good reserve for adverse conditions.